The commission detail report is a breakdown per agent all closed deals, their gross and net commissions and all credits and debits. 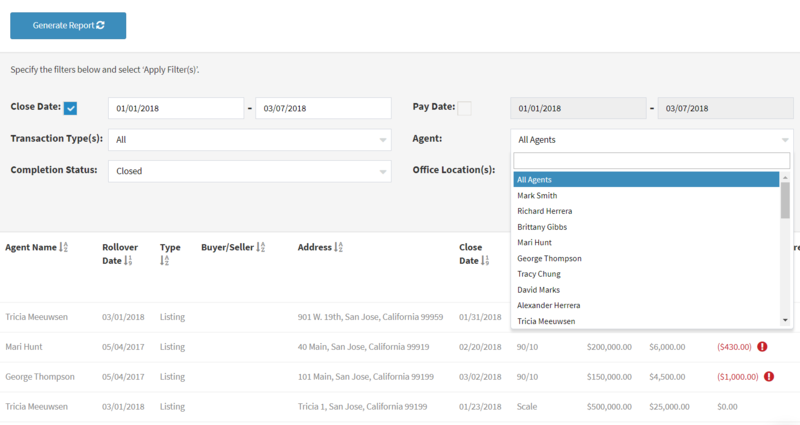 The agent version gives agent's insight into their total amount paid to the brokerage or towards their cap. To turn on this report for your agents go to Settings > Agent Permissions. 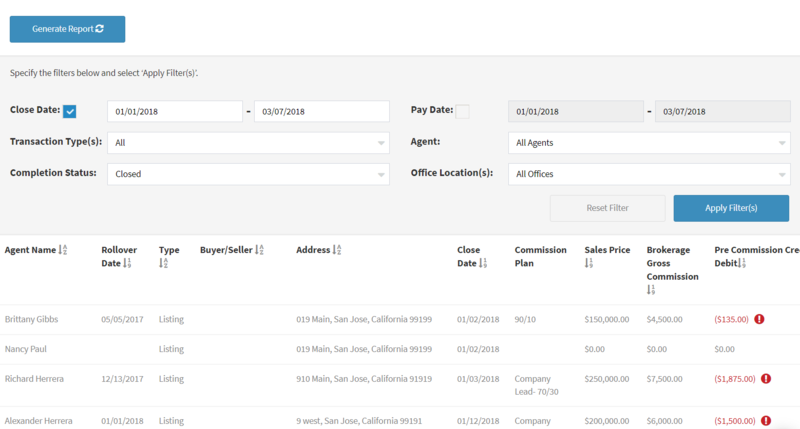 You can filter this report by specific date ranges, transactions, completion status and by specific agent. This report will show you a breakdown of the Commission Plan, Sales Price, Brokerage Gross Commission, Pre-Commission Credit/Debit, Gross Commission Used For Agent Split, Brokerage Commission After Agent Split, Agent Gross Commission, Additional Closing Fees, Net Brokerage Commission, Post Commission Credit/Debit,Net Agent Commission and Pay Date.